Ahmadi Sani, N., solaimani, K., Razaghnia, L. (2018). Detecting Spatial-Temporal Changes in Land Use Using Satellite Data in Haraz Basin. Journal of Radar and Optical Remote Sensing, 1(1), 68-82. Nser Ahmadi Sani; Karim solaimani; lida Razaghnia. "Detecting Spatial-Temporal Changes in Land Use Using Satellite Data in Haraz Basin". 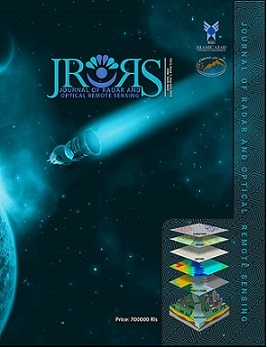 Journal of Radar and Optical Remote Sensing, 1, 1, 2018, 68-82. Ahmadi Sani, N., solaimani, K., Razaghnia, L. (2018). 'Detecting Spatial-Temporal Changes in Land Use Using Satellite Data in Haraz Basin', Journal of Radar and Optical Remote Sensing, 1(1), pp. 68-82. Ahmadi Sani, N., solaimani, K., Razaghnia, L. Detecting Spatial-Temporal Changes in Land Use Using Satellite Data in Haraz Basin. Journal of Radar and Optical Remote Sensing, 2018; 1(1): 68-82. 1Assistant Professor, Faculty of Agriculture and Natural Resources, Mahabad Branch, Islamic Azad University,Mahabad, Iran. 2Professor, Department of Watershed Management, Sari university, Iran. consequences such as natural resources degradation and environmental pollution. Detecting land use changes is a suitable technique for natural resource management. along with climate changes are an alarm for the Haraz Basin status in the future.